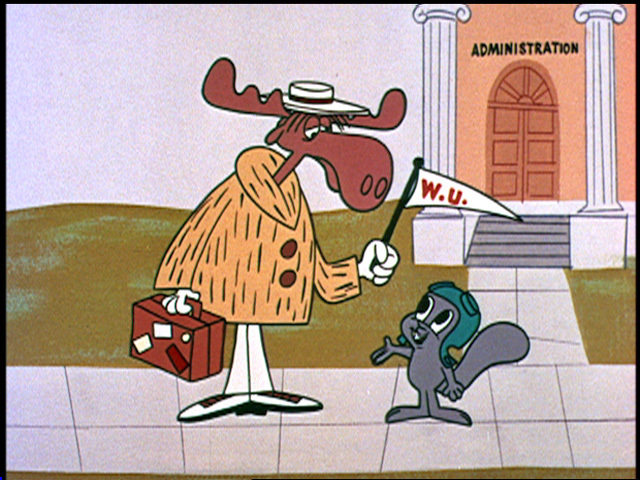 I gotta confess, I've never enjoyed Rocky and Bullwinkle as a kid. I always found it lame, boring, completely unfunny, and even annoying. And yet, it was popular. I never understood that. So when I learned there was a Best-Of on DVD, I thought why not check it out. Perhaps as a kid I completely missed what was so good about the show. 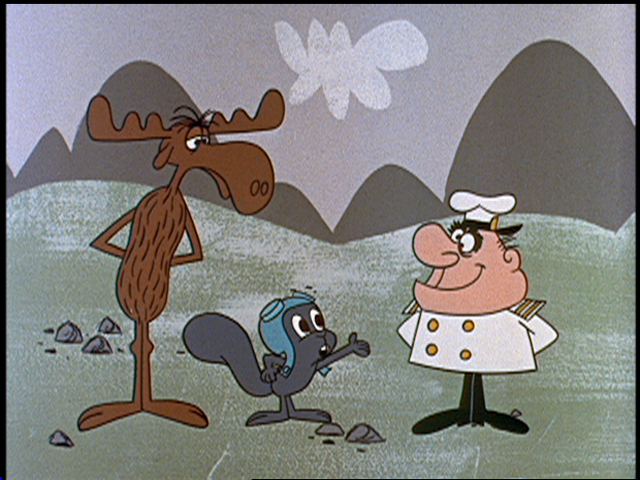 Or perhaps my memory was incorrect, perhaps it wasn't Rocky and Bullwinkle that I loathed, but rather their friends, that dumb Peabody dog. Then again, perhaps not. Okay, so after watching The Best of Rocky and Bullwinkle - Volume 2, I have to say that the show isn't nearly as bad as I remember. This DVD is all Rocky and Bullwinkle, as all the serials have been removed. That means no Peabody and Sherman, and no Dudley Do-Right and Snidely Whiplash. I seriously think this helped it out, as I'm sure those cartoons were the ones I hated more than Rocky and Bullwinkle. 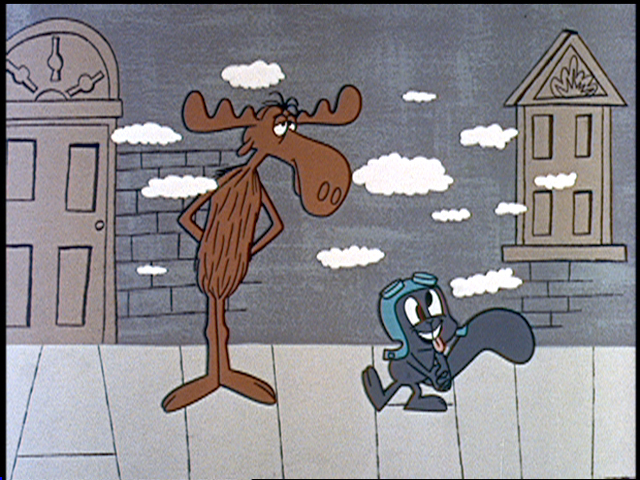 Still, after watching this DVD, I can't say that I'm a new Rocky and Bullwinkle fan. The plots are extremely simplistic and there is absolutely no character development. It has it's funny moments, occasionally causing what sounded like laughter to exit my noise-maker, but there wasn't enough to make me want to watch anymore. 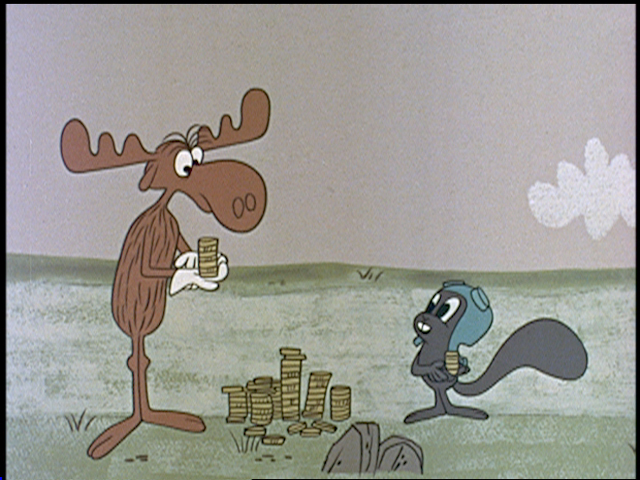 The Best of Rocky and Bullwinkle - Volume 2 contains three episodes for a total running time of just about over 2 hours. 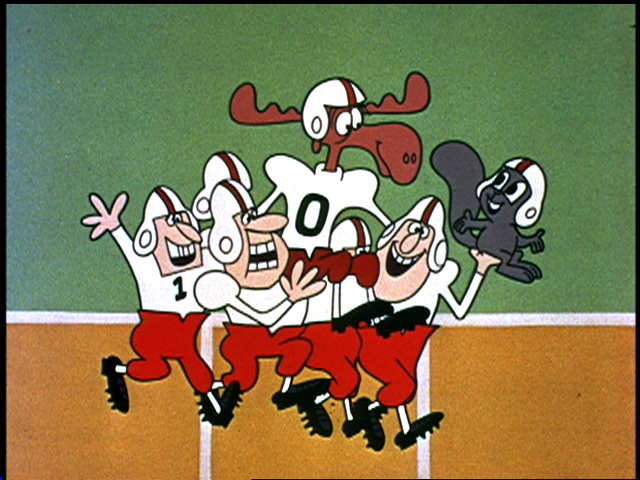 First up is Wossamotta U (made up of twelve segments), in which Bullwinkle the moose is recruited by a college to play on their craptacular football team because of his amazing throwing ability. Of course, it only works with some assist by Rocky the flying squirrel, so they both end up on the team. And together they are unstoppable, winning every game they play! 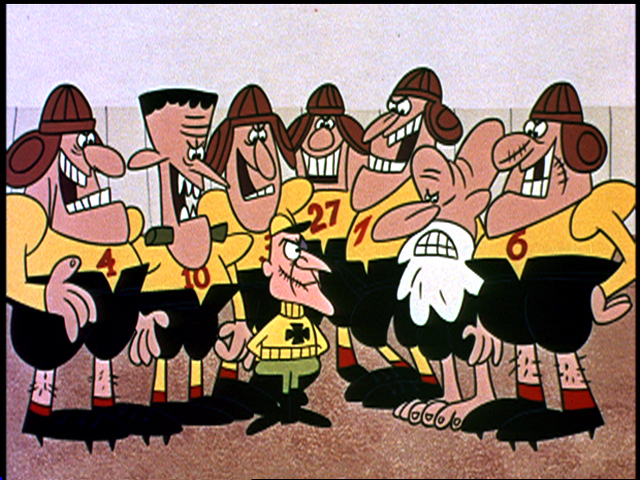 But what would Rocky and Bullwinkle be without villains to conquer? 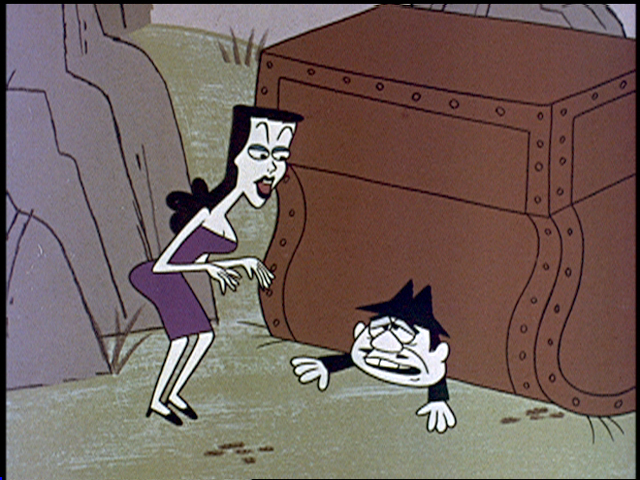 Yep, Boris and Natasha join in on the fun by attempting to trick Bullwinkle into throwing one of the games. Next up is Treasure of Monte Zoom (made up of eight segments). Two evil villains, who shall remain nameless... oh who am I kidding, we all know it's Borris and Natasha. 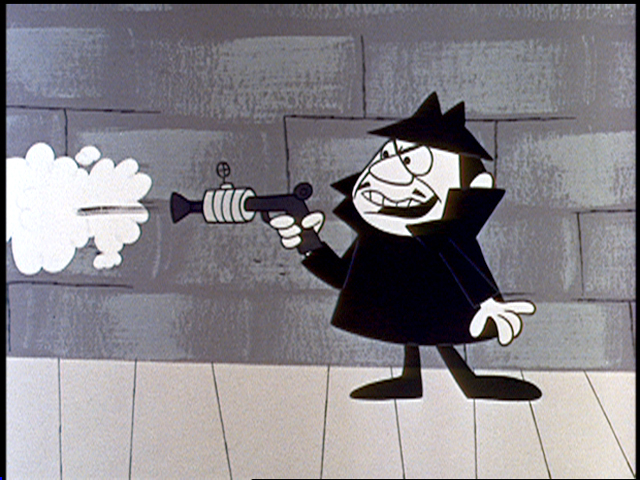 Do Rocky and Bullwinkle even know any other villains? Anyways, Borris and Natasha steal the treasure of Monte Zoom, and it falls to the police to catch these dastardly crooks. Yeah, right. Wouldn't that be someone. 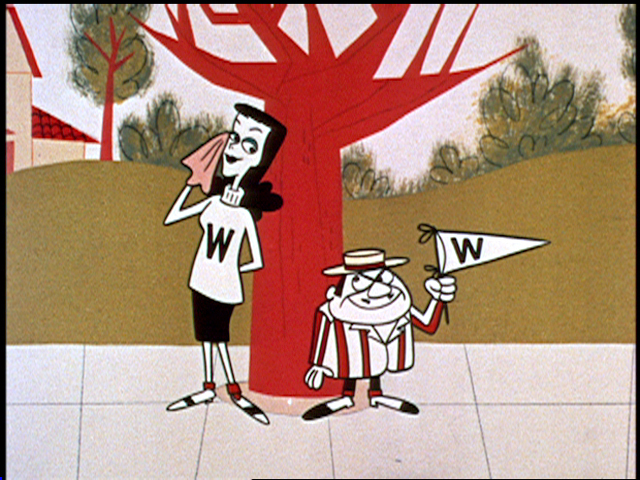 Once again, we all know it's up to Rocky and Bullwinkle to foil the scheme. I hope they're getting paid for this. Finally we have Goof Gas Attack. Think Dumb and Dumber, but much dumber. It seems every smarty pants is turning into Harry and Lloyd. Hm, I wonder how that could have happened? Global warming? The ozone layer? A virus? Nope, there's only one way this could happen, and I'm sure you've already guessed it by now... it's Borris! He unleashes a "goof gas" on the world, turning everyone dumb. 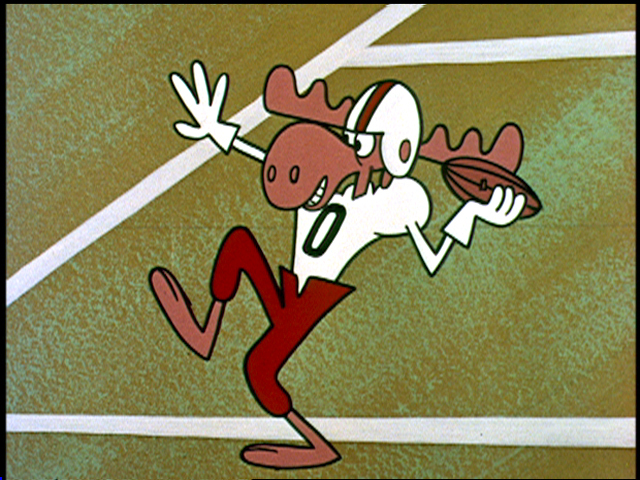 Of course, Bullwinkle is already dumb, so he's in the clear, and is thus the only one who can stop this madman. Well, I know this series is extremely popular, so I'm sure you'll probably like it more than I did, but it's just not for me. I did think the DVD case was really cool looking though. Part of the front cover is transparent, so you can see the disc, which has various artwork scribbled on it. Kind of a neat effect. Not really sure what else I can say about it, so I guess that's it. 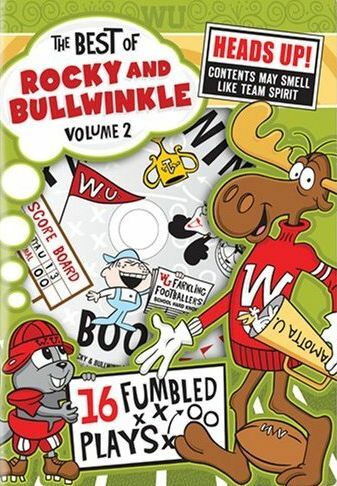 The Best of Rocky and Bullwinkle - Volume 2 was released on September 18, 2007 by Classic Media.